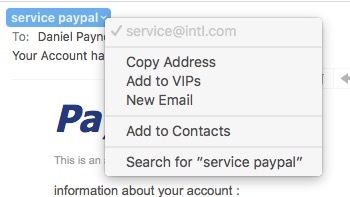 The from address should be service@paypal.com, but it isn’t. The first letter in the first sentence isn’t capitalized. They don’t show my first and last name. 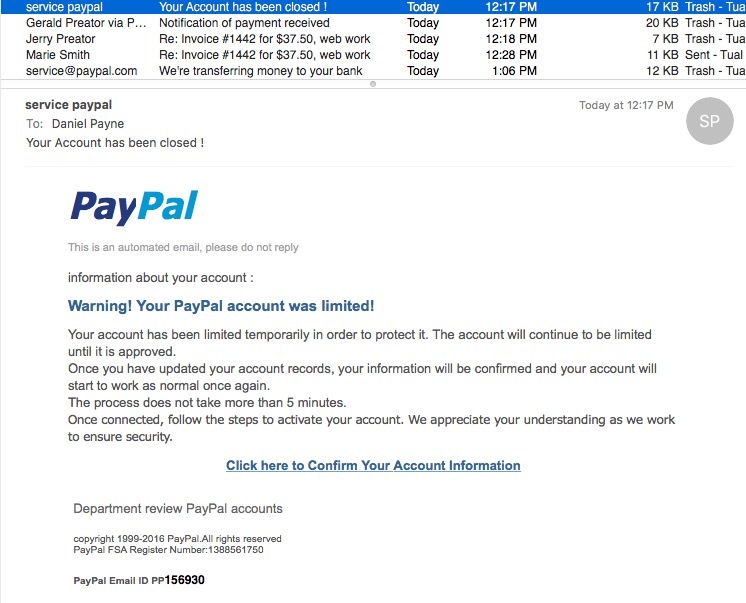 So the moral of this story is to continue using PayPal, however just double check any email from a financial institution like PayPal before blindly clicking the hyperlink. If I were to click this phishing hyperlink I’d end up at a site that would request my login credentials, giving them directly to the bad guys, who would then probably lock me out of my PayPal account and siphon off any of my PayPal funds or worse yet, get into my linked banking accounts.